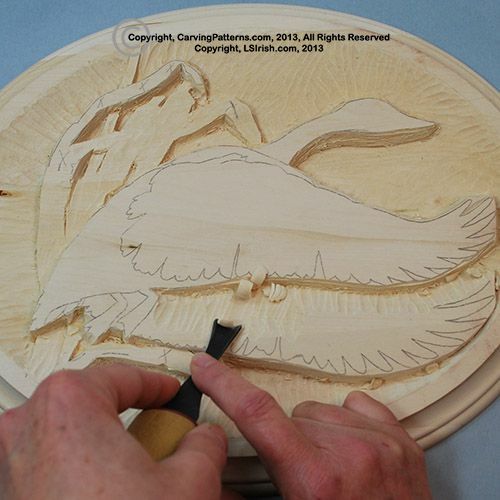 Step by step photo instruction relief wood carving, pyrography, and painting Canada goose project by Lora S., Irish, author of the Basics to Relief Wood Carving. Every cut and carving strokes is shown in this full set of carving instructions. Free craft patterns, free carving project.